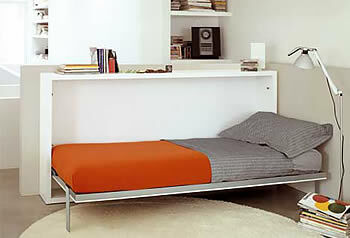 The Poppi 120 is a king single tilting wall bed with horizontal opening system. By day the bed simply disappears, leaving a cabinet depth of only 31cm, and by night it transforms into a comfortable king single bed. The Poppi 120 also has an optional tilting desk available should the space lend itself to a study area or child's room.